We love leftovers on weekends, but for me, it’s those times I can create something new from the leftover ingredients that really make me happy! We ended our week with some bananas that were on their last day or so, some blueberries that needed to be eaten fast, and some sliced bread too stale for a sandwich. So, how could we have a nice breakfast without having to go out to the store, and also not waste any of the food we bought this week? 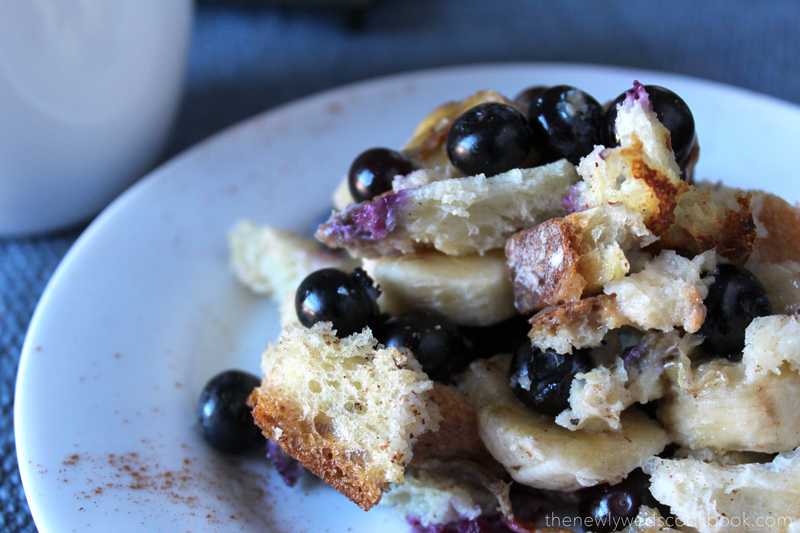 Make a delicious French Toast Casserole full of bananas and blueberries! This was a special way to treat ourselves for breakfast, and just the right size to fill us up with a little portion leftover. 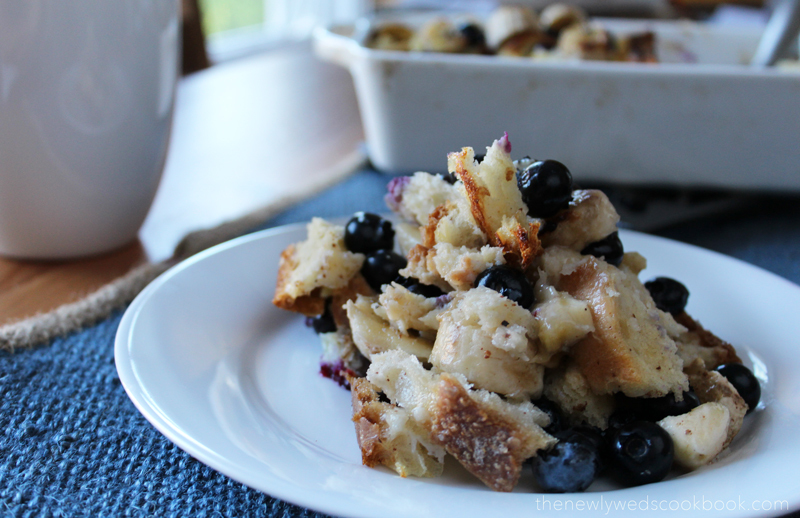 We decided to call it Banana Berry French Toast Casserole because it wasn’t really french toast, but had all the necessary ingredients. To summarize: Warm, Gooey, Fruity, Sweet Goodness that you MUST give a chance. 1. In a medium mixing bowl, whisk together the milk, eggs, cinnamon, nutmeg, syrup and honey. 2. 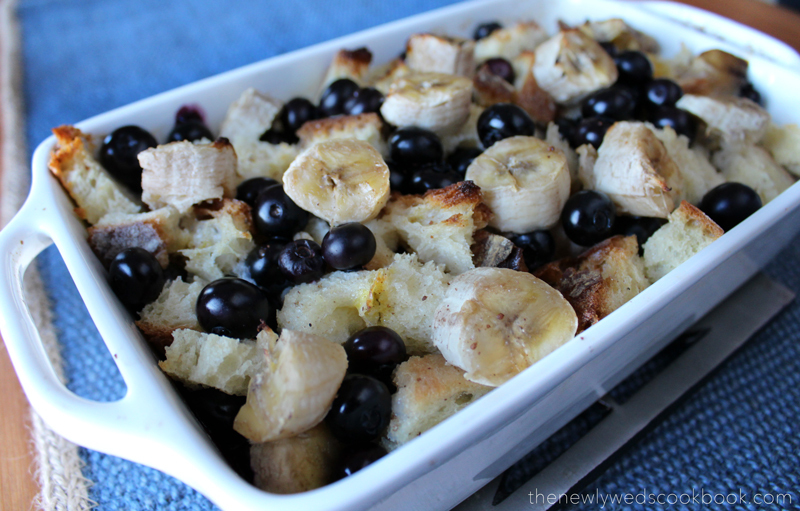 In a greased (misto spray ) small baking dish, begin by layering the bread, followed by a layer of half of the blueberries and half of the bananas. Repeat this once more. 3. Now, pour the egg/milk mixture over everything. 4. Stick in the fridge over night. 5. Place in the oven at 425 degrees and cook for 20 minutes.